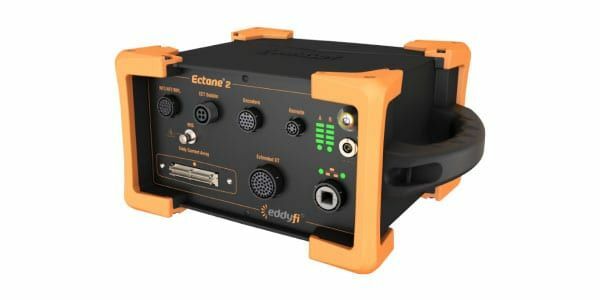 The Ectane 2 Eddy Current Flaw Detector from Eddyfi is a versatile multi-technology instrument for non-destructive testing of tubing and surfaces. This unit provides lightweight portability and is battery-powered, providing you with 8 hours of field use. The Ectane 2 is designed plug into your network and simply work, eliminating the need for BootP which can be difficult to use. The improved CPU board offers ultrafast probe nulling and real-time processing, regardless of the technology used. With an improved maximum ECT frequency of 10MHz, you get greater flexibility and better performance in a variety of tubing and surface applications. 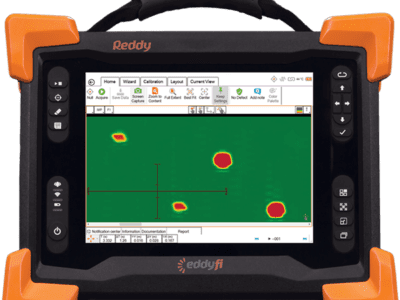 The Ectane 2 Eddy Current Flaw Detector features a powerful motor drive which is capable of driving motorized RPC probes, useful for finding longitudinal and circumferential cracks. 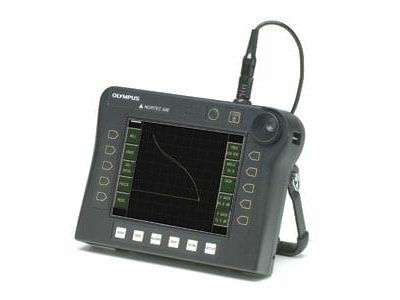 The unit can also drive partial saturation ECT probes and magnetic bias ECT probes using the onboard current source programmable control. Whatever the technology or application, the Eddyfi Ectane 2 delivers significant results and reduces equipment needed in the field. metal part and its coating using a ‘single backwall echo’. adjusts the material velocity for changes in material temperature. feature measures and displays the thickness of the steel and the oxide/scale build-up. element and single element contact, delay line, and immersion transducers. 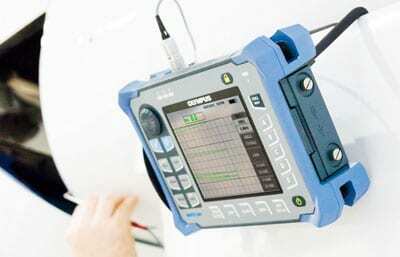 for no-couplant steel thickness measurements through heavily scaled surfaces. Interface Program and on the gage.